On Thanksgiving day, it was 22 degrees in New York City. It was the kind of cold that seeped through walls and drafted through windows. Viviana Wrenn was one of hundreds of New York City Housing Authority residents in the city who didn’t have heat. 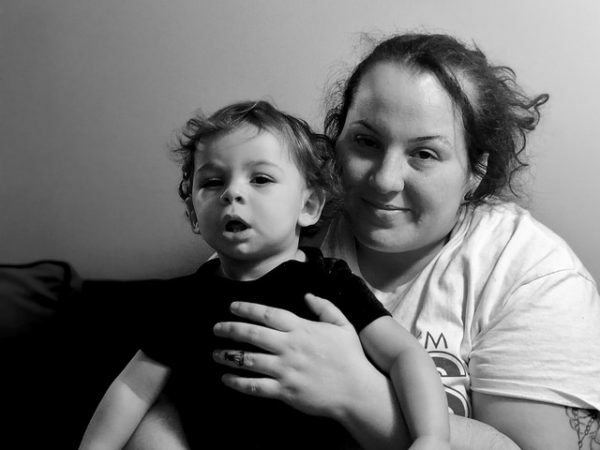 She and her son, who turned one-year-old just a few days before, huddled under blankets near her space heater to stay warm. After one month of living in the Stebbins Avenue Bronx NYCHA development, she said her apartment was heated less than 30 percent of the time. Wrenn is not alone. Of the estimated 400,000 people living in the NYCHA housing developments, countless filed complaints over the Thanksgiving holidays about lack of heat, hot water and other essential services. 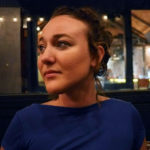 The news reports closely about the lack of heat and hot water followed other recent public investigations into lead, mold, and vermin infestations that marred the agency’s reputation. NYCHA has launched several smaller programs to address certain developments’ most pressing problems, but with older buildings and costly system issues, even minor repairs are a challenge. Viviana Wrenn lives on the 800 block of Rev James A Polite Avenue. Photo by Opheli Garcia Lawler. But the process of moving was riddled with issues. First her keys didn’t work. Then the apartment unit she moved into wasn’t clean and the door looked like it had been pried open by a crowbar. The intercom system for the entire housing complex didn’t work. Wrenn filed complaints repeatedly. They were marked as completed – but nothing changed. She contacted management. She stopped maintenance workers in the hallways. Nothing changed. Caridad Nova also lives in NYCHA housing. She lives in the South Jamaica projects in Queens. Her heat works and her windows don’t let in the cold air, but her ceiling lets in the rain. She’s lived in NYCHA housing almost her whole life with the exception of two and a half years she spent living in the family shelter system. Nova lives with her daughter, who is only three years old. Nova said that she’s had the leak in her ceiling for three weeks. Every storm brings cold, wet weather into her apartment. She and her daughter developed asthma while they were living in the family shelter system, and the damp air doesn’t help. Previous studies have found links between people who live in shelters and high rates of asthma. While Patton’s comments were not widely accepted by many New York City politicians – NYC Council Speaker Corey Johnson called the remarks a “publicity stunt” – those living under the conditions of NYCHA housing aren’t batting an eye at dramatic comparisons. On Dec. 3, the water at the Patterson Houses, another development managed by NYCHA that is also in the Bronx, lost all water. Tenants were forced to line up on the block in cold temperatures in order to get water from fire hydrants. 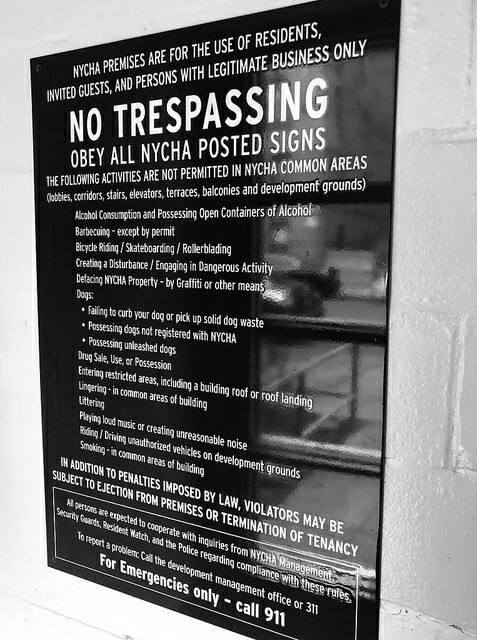 The rules posted at a NYCHA development on Rev James A Polite Avenue in the Bronx. Photo by Opheli Garcia Lawler. New York City Council member Rafael Salamanca represents the 17th District and 15,000 NYCHA residents. His district has the third largest population of NYCHA tenants. His office has made a point of actively showing up at NYCHA developments when issues facing residents go unaddressed. He is aware that NYCHA will sometimes only address an issue after they’ve been publicly called out. Throughout an endless number of issues, NYCHA’s response – if there is one – has targeted specific and immediate issues. 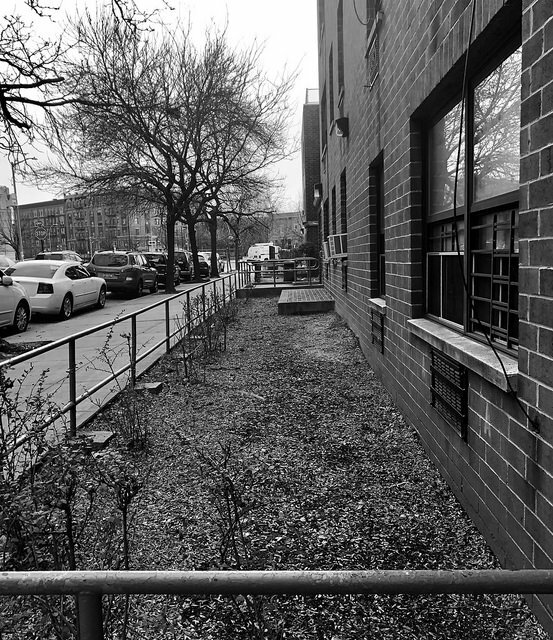 Following the multiple news reports this year about unfulfilled maintenance requests (like Viviana’s), NYCHA announced a program in July 2018 to fulfill 50,000 requests through 2019. The program is called NYCHA Cares. The maintenance repairs happened in “blitzes.” Hundreds of work orders would be filled in over a single Saturday. On Dec. 8 five different developments were repaired – none of those developments were Caridad Nova’s or Viviana Wrenn’s. Posts on NYCHA’s Twitter account showed sinks being repaired, door knockers being fixed and plumbing issues being addressed. But even as work orders are being addressed, residents are still having to endure daunting living situations in the interim. Viviana Wrenn was told that she would have to wait until Dec. 21 until her broken fridge (which was broken when she moved in) was fixed. NYCHA previously filed that her work order was fixed– but Wrenn still tapes her fridge shut with duct tape. While work orders can be filled and issues like clogged toilets and broken fridges can be fixed, if maintenance workers do show up – citywide issues with aging infrastructure and lack of sufficient funding leave residents like Caridad Nova and Viviana Wrenn feeling like they’ve abandoned by their local government. 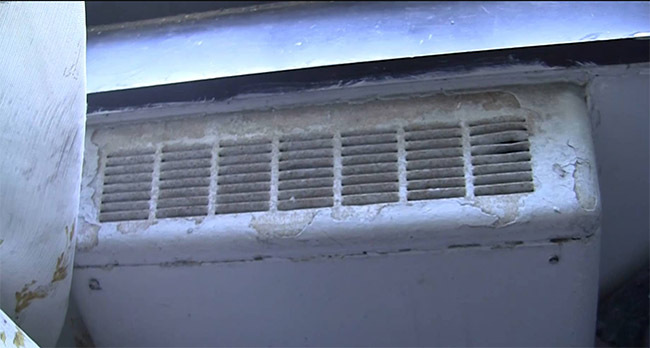 They are systemic issues that cannot be repaired in a maintenance “blitz.” As the temperatures continue to drop, residents without heat and hot water might have to live through more cold holidays – and hope that the rain and snow stays out of their living rooms.